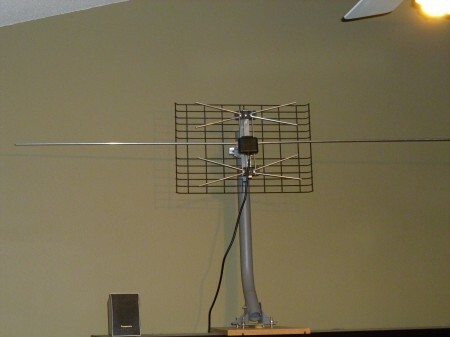 So back when the whole TV transition was just starting and I didn’t have a clue what I was doing, I bought an antenna that I thought would cover my needs. Its an Antenna Direct DB2 antenna. 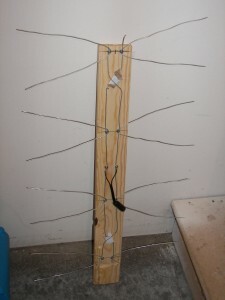 Its a nice Multi-directional UHF antenna and at the time it worked great because there wasn’t any VHF stations. However after the final transition, two of the major stations switched back to VHF to the channels 7 and 9. So when the world cup started on TV, I decided I needed ABC which was on channel 9. So I researched what I needed to do, and obviously I needed a VHF antenna, but I didn’t want to get rid of my current DB2 antenna. 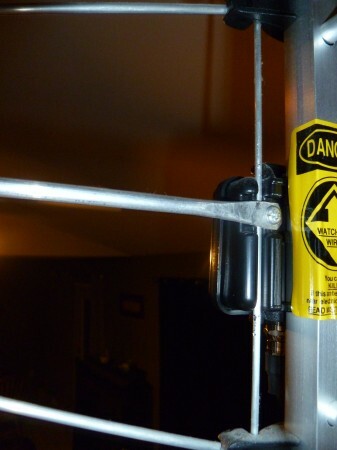 In basic I needed a simple half dipole antenna to add to my UHF antenna at the center. Since I wanted channel 7 and 9, I found out which freq the channels broadcast in. Found the calculations to get length of wire for frequency from this website here. 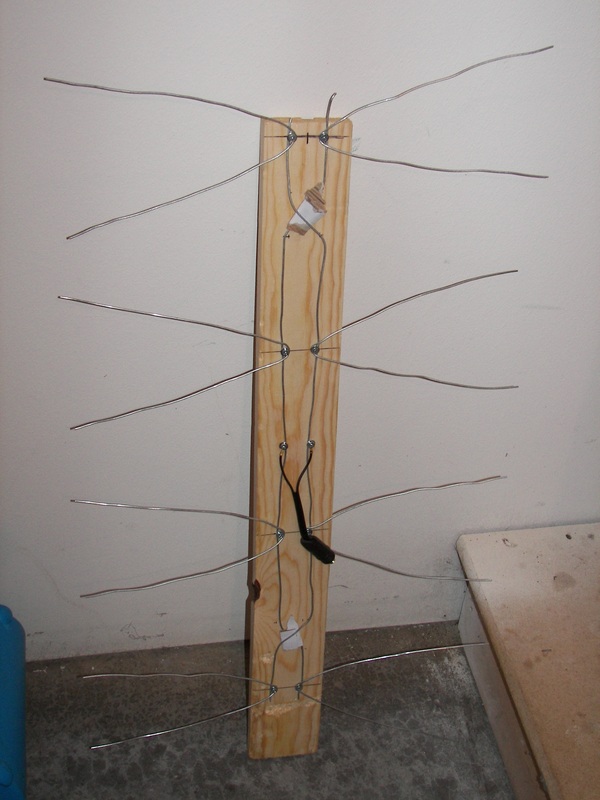 The material I used for the antenna was some aluminum wire rod I picked up at Menards. I forgot to get the exact size but it was slightly larger then the original wire. I flattened the ends with a hammer and drilled a hole so I could mount it to the balun. Here is the finished product. I would like to mention it picks up channel 7 and channel 9 now!!! So I would say this has been successful. Here is the back side and how it mounts to the balun. I would like to note this may be unsafe to modify your antenna! NO guaranteed results!